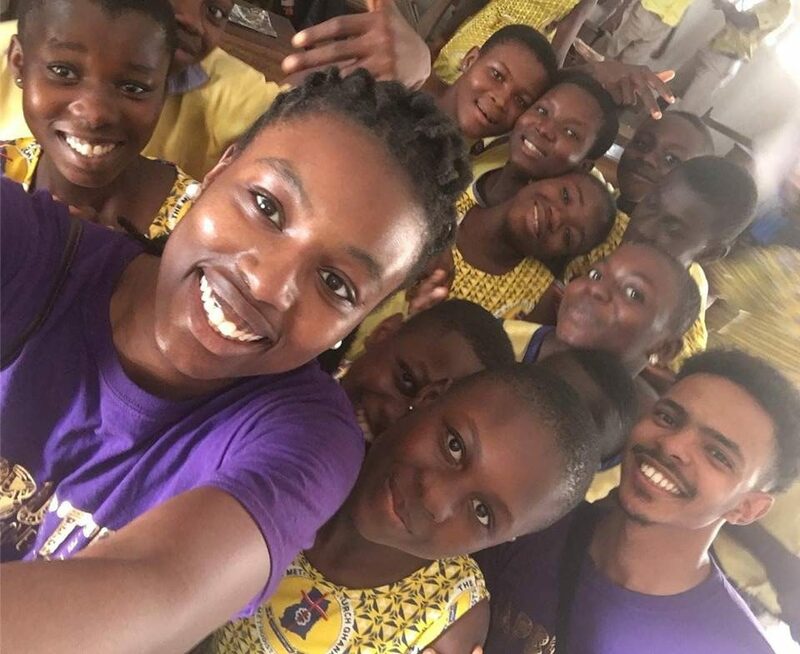 GapBuster expanded the STEAM program “Building Scholars for the Future” targeting girls ages 11 to 18 into Ghana. 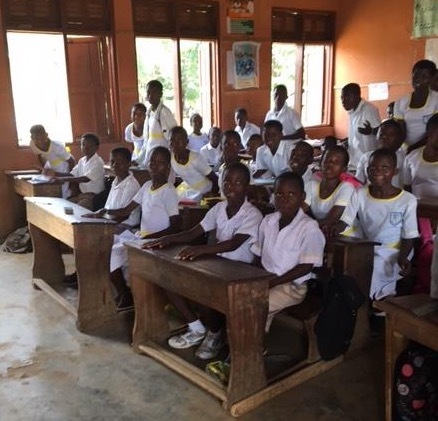 GapBuster Ghana will host a pilot program in koforidua, Ghana partnering with Effiduase Methodist Junior High School. The program kicked off on Martin Luther King Jr. Day January 21st, 2019. 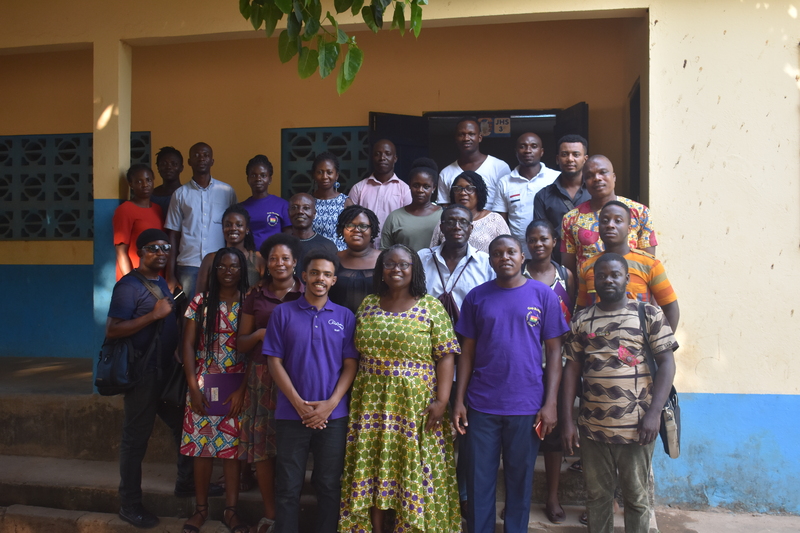 On June 2017, GapBuster was incorporated as a Non-Government Organization (NGO) in Ghana. 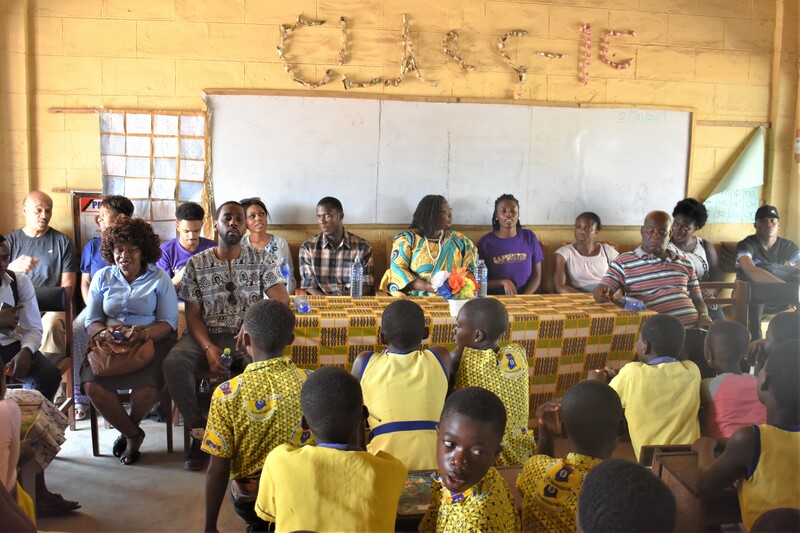 The chief of the town, Nana Okoawia, has donated space in the town’s community center to GapBuster to open a technology center and community library. The center NEEDS work and we NEED your help. We are collecting DONATIONS of any amount. 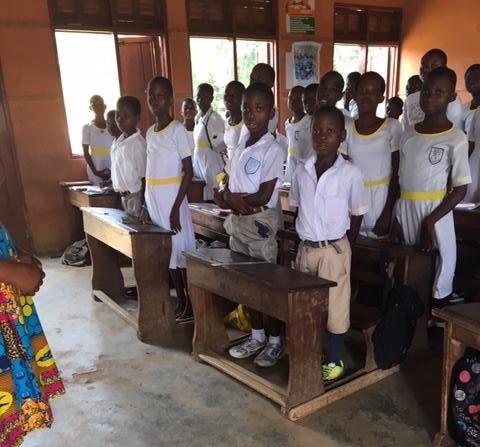 Your dollars can go a LONG way in Ghana. As 2018 comes to an end, we want to first thank ALL the parents for allowing us to serve your children. Without you, there is no GapBuster, Inc. Plus, I want to send a special thanks to our volunteers especially those who shared their time with us on Thanksgiving Day. This is the season of giving! Now as we reflect on one of the accomplishments we are most proud of – serving our community. GapBuster’s Inc. and Hope Restored, Inc. hosted a community “Thanksgiving dinner” on Thursday, November 22 at the Silver Spring Civic Center and the “spirit of giving” was woven into the fabric of this event. In addition to providing meals for the homeless and elderly, it was a unique opportunity for community members to break bread together, meet new friends, and share their expressions of gratitude for their many blessings. Luis Rosales is a senior in the McDonough School of Business at Georgetown. 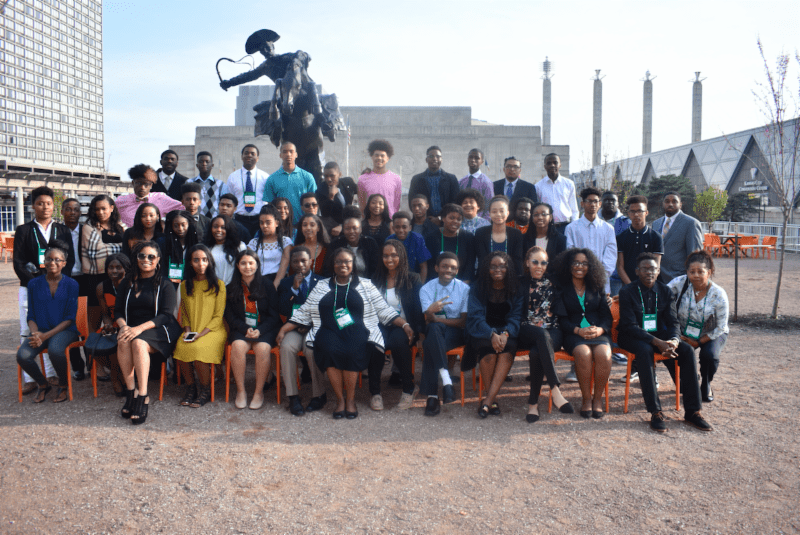 This year GapBuster took over 50 talented young students from Montgomery and Prince George’s County to compete in NSBE44. 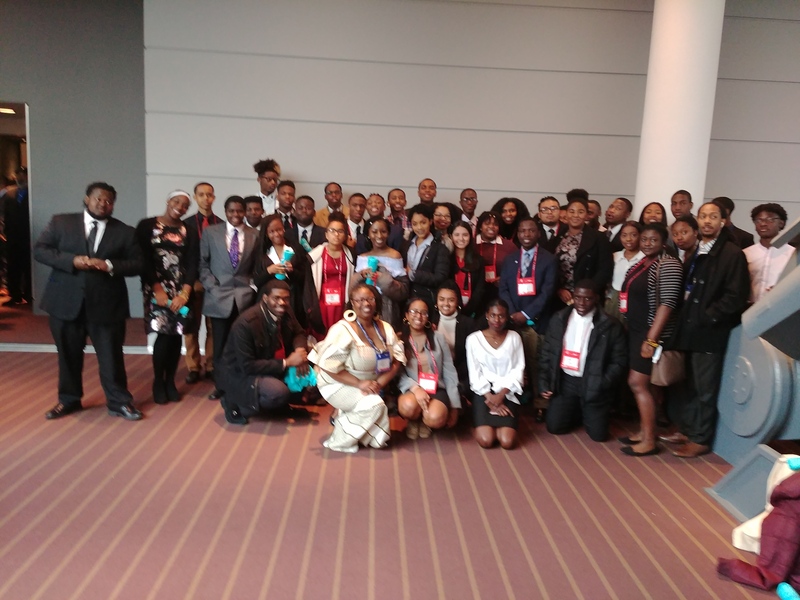 The National Society of Black Engineers 44th Annual Convention was held in Pittsburgh, from March 21st – 25th. This was an exciting opportunity for our students to showcase their engineering skills and meet talented and driven individuals at the top of their field. Building Scholars for the Future Summer Program! Congratulation to our winners and graduating seniors! GapBuster, Inc. has opened a new office in Rockville and in partnership with IT Busters! 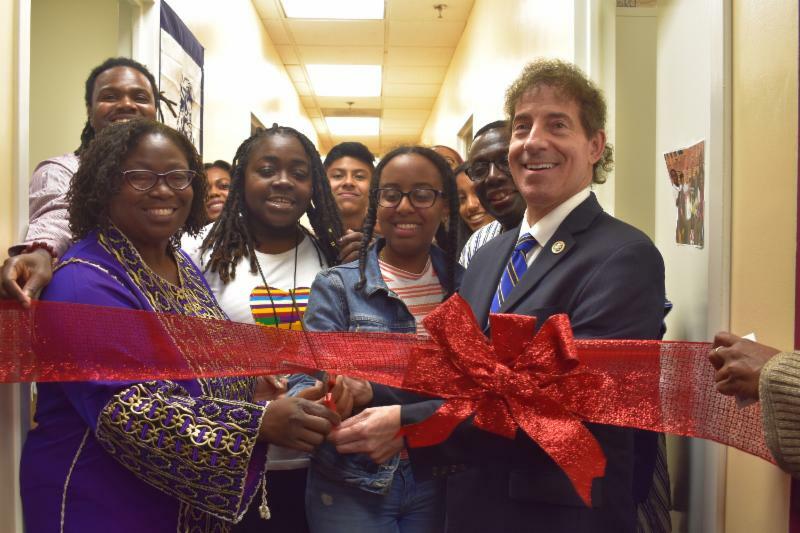 On October 30th we opened our Rockville facility with Congressman Jamie Raskin. 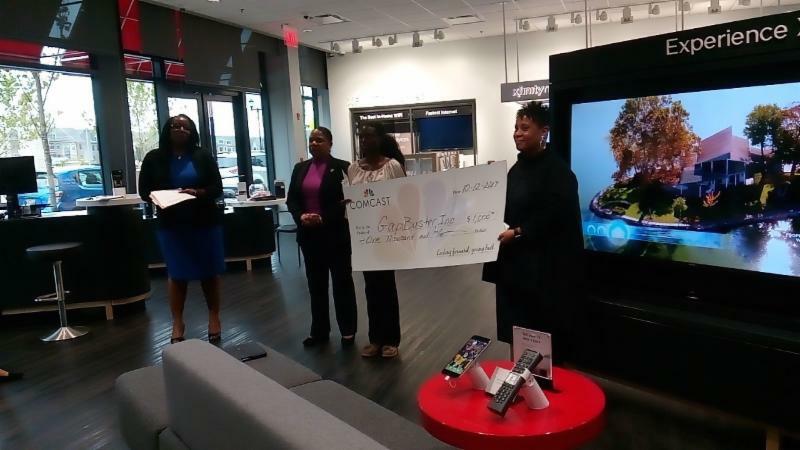 On October 12, Comcast opened a new office in Prince George’s County and awards GapBuster, Inc. a check for $1,000. Board members Patricia Williams and Deborah Yeboah accept the check on behalf of the organization. On behalf of the Board of Directors, we want to send our thanks for the support from Comcast and look forward to continue to work with you and the community. Meeting are held after school on Tuesdays and Thursdays. We hope this chapter has much success as Flowers High School did their first year. last year and made it all the way to the finals in Troy, New York. For timely email updates, click the button below! We are a nonprofit organization dedicated to empowering the community through education. 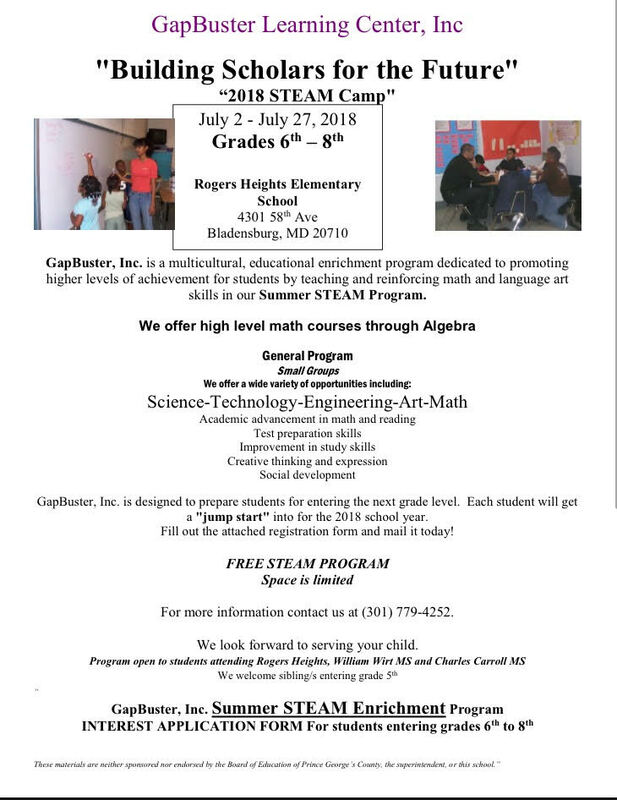 GapBuster, Inc. provides programming for students in Montgomery and Prince George’s Counties in the forms of after-school tutoring, leadership development, a junior chapter of the National Society of Black Engineers, League of United Latin American Citizen councils, college preparation and drop-out prevention programs. Public Comments – 10:10 a.m. Check out our successful STE(A)M summer program! To request information from us, you can fill out the form linked here.